Cucumber seeds are relatively easy to save for planting next year. But don’t waste your time scooping and preparing cucumber seeds from store-bought fruit. For cucumbers to produce viable seed, they must be allowed to vine ripen well past the point at which cucumbers are harvested for food. And if you harvest and save your own cucumber’s seed, be aware of the fruit’s parentage. If your cucumbers have been cross-pollinated, the fruit that comes from their seed will not be identical to the parent plant. Leave the cucumbers on the vine until the vines have died and the fruit gets bigger and turns yellow. Bring them inside and store them in a dry spot out of direct sunlight until the cucumber softens. Cut the cucumbers lengthwise to expose their seed. Scoop out the cucumber seed with a spoon and deposit the seed into a jar of water. Leave them in the water for four to five days. This will allow the seeds to ferment and loosen the gel that encases the seeds. Scoop out any cucumber flesh and seeds that have floated to the surface. Viable seed will settle at the bottom. Pour the viable seed out of the jar and into a colander and rinse them with running water. Spread the cucumber seed out over a screen and place them in a cool, un-sunlit place for roughly three weeks or until they are dry. The seeds are sufficiently dry when they snap when bent in half. 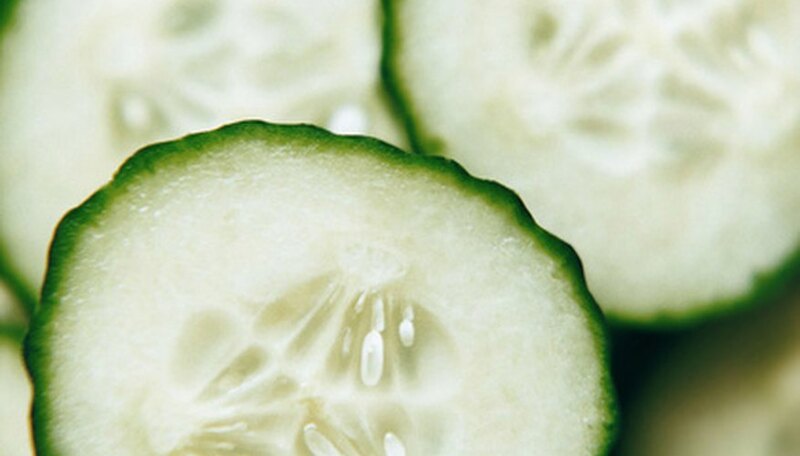 Place the dry cucumber seed in an airtight container and store them in a cool, dark spot. They will remain viable for eight to 10 years. Mother Earth News: How Can I Save Seeds From Cucumbers that I Grow?